A Philadelphia Property Management Company That’s A Cut Above the Rest. Bay Property Management Group Philadelphia is a proven, trusted full-service residential and multi-family property management company in Philadelphia, focusing on tenant customer service, property owner satisfaction, and proper management of all rental properties from commercial to single or multifamily rental properties. Our Philadelphia Property Management company offers a wide range of professional property management services that are sure to meet your investment needs. Additionally, we are on call 24 hours a day, 7 days a week. With our reputation, integrity, innovative management, and advertising solutions, it is easy to see why Bay Management is a cut above other Philadelphia Property Managers. *With aggressive and effective advertising strategies and a thorough screening process, we are committed to getting your rental property leased within 30 days on average. Never worry about the hassle of late-night phone calls from tenants thanks to Bay Management Group’s round the clock maintenance staff and Philadelphia property managers who are supported with top of the line property management software. If we place a tenant in your rental property and they are evicted within the first 6 months, we release the property for you — FREE! No other Philadelphia Property Management company provides this type of warranty! We pride ourselves on safely and securely accepting online rent payments and disbursing them to property owners. Tenants that fail to pay on time are handled swiftly. We conduct thorough interior and exterior rental property inspections on a regular basis to ensure property maintenance by tenants and inform you of any areas of concern. We do it all for you – from property inspections to rent collection, monthly financial statements, limit vacancies and complete legal compliance during the tenant placement and/or eviction process. Why Choose Bay Management Group to Manage Your Philadelphia Rental Properties? Full Leasing Services Rest assured that your rental property in Philadelphia will receive top-notch attention at all times. With aggressive advertising strategies to get your property leased within 30 days, thorough tenant screening to avoid placing low-quality tenants in your investment property, and complete legal compliance during the tenant placement process, we at Bay Management Group are experts in Philadelphia property management. 24/7 On-Call Maintenance You won’t have to worry about late-night phone calls from tenants thanks to Bay Management Group’s property maintenance staff. Handling minor to major maintenance requests and repairs, you can trust your tenants will receive prompt attention whenever your property calls for it. Rent Collection Depositing your profits into your bank account is something Bay Property Management Group does not take lightly. Our professional, firm, and consistent approach to rent collection each month means your tenants will have a full understanding of what you expect from them when rent is due. Should any tenant fail to pay on time, the situation will be handled swiftly by Bay Property Management Group, so you don’t have to. This even includes starting the eviction process if necessary. Routine Inspections Your rental property is a valuable asset and our property management company understands that. This is why conducting routine inspections throughout each tenant’s lease term is one of our main priorities. We want to ensure your tenants are caring for your property as though it was their own and inform you of any brewing issues before they turn into major problems. Monthly and Annual Financial Statements Each month we send income and expense statements for each of your specific income properties, along with a summarization in your year-end report. We also send you a 1099 at the end of the year, as required by law. Move In/Move Out Reports. Our Philadelphia property managers photograph each property before and after tenants take possession and complete a detailed inspection checklist, in order to document any damage or irregularities that have occurred during the tenant’s lease. Rental Registration. New laws require all rental properties to be registered with the appropriate jurisdiction. Lead Paint Certification. Per state and federal law, all tenants moving into rental properties built before 1978 must be provided with lead-based paint pamphlets and documentation. In Philadelphia, any rental property that is being leased to tenants with a child under the age of 6 must have a lead-safe, limited lead-free or lead-free certificate. Bay Property Management Group will coordinate or assist you in receiving the lead-based paint certificate through one of our accredited inspectors. Eviction Services/Suit Filings. Bay Property Management Group adheres to strict and consistent policies when it comes to late rent payments. We are well-versed in landlord-tenant laws and, when necessary, handle the entire eviction process so you don’t have to. And in the event a tenant breaks their lease, we also file judgments on your behalf, with no cost to you when Bay Management Group files suit. We specialize in the management, asset protection and revenue maximization related to residential and multi-family property management. If you are a landlord self-managing three or four properties or you are a large-scale investor with an established real estate investment portfolio, it would be worthwhile for you to sit down and discuss with us what Bay Management Group in Philadelphia can do to help. Residential and Multi-Family Rental Property Management are what we focus on, day in and day out, so don’t hesitate to call us to discuss your situation and how we can help make you more money with your investment real estate. Bay Management Group has a commitment to Philadelphia property management unlike any other property manager around. In fact, they are known to be one of the most reliable and trustworthy property management groups in Philadelphia. So, what do you say? Save yourself time, lessen the stress of owning rental property, and reduce your workload significantly with Bay Management Group and know that your rental property is in capable hands. If you are planning to invest in rental properties, hiring a professional Philadelphia Property Management company such as Bay Management Group is a prudent step to take. It will save you the hassle associated with managing rental property, and this will give you the time and energy to concentrate on other things, including additional investment opportunities. If you are in Philadelphia, picking the right management firm can be a daunting task, especially because of the high number of service providers there. Below is a discussion of some factors you should consider in searching for a property management firm that is appropriate for you. Of course, you don’t want to trust an amateur with the task of managing your rental property. You should look for a firm with deep experience. Although this shouldn’t be the only factor to consider, longevity is an important indicator of reliability. Experience also means that you will be working with a firm that has the capacity to advertise your rental property properly and minimize vacancy periods. The quality of customer service is an extremely important factor when shopping for a management firm to handle your rental property. You want a property management company in Philadelphia that will take time to listen to you, understand you, and quickly addresses any issues that you may raise regarding your investment property. You also should choose a firm with customer service available 24/7. This will ensure that there is always someone to talk to at the firm if and when a serious issue arises at any time of the day or night. Bay Management Group Philadelphia normally charges 5-8%, while most companies charge 10% or more. If you are planning a move to Philadelphia, there are plenty of nice things in store. Philly is one of the largest and most populous cities in the United States. It boasts a vibrant economy that is not only strong but constantly developing. Some great economic sectors there include financial services, healthcare, manufacturing, petroleum, education, and biotechnology, among others. Furthermore, it has numerous tourist attractions and affordable housing. It all makes Philadelphia a great place to live; below is a breakdown of the reasons why. As the birthplace of American democracy, Philadelphia has one of the most varied and appealing tourism sectors in the nation. 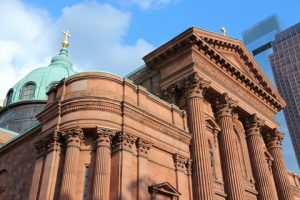 The city’s many attractions include Philadelphia Zoo, Liberty Hall, Elfreth’s Alley, Independence Hall, Rodin Museum, Germantown Historical Society Museum, Philadelphia Museum of Art, Pennsylvania Academy of Fine Arts Museum, and much more. Indeed, there are countless things do in the city when you are not working. Philadelphia has a diverse housing sector serving people of all income brackets. Whether you are in the early stages of your career or more established, there are endless and affordable options. If you are looking for a house or an apartment to rent, Bay Management Group is a Philadelphia property management company you can count on for help. 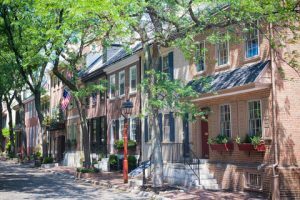 We have been in Philadelphia’s real estate sector for some time and have a deeper understanding of the market than any of our competitors. We list houses and apartments available for rent and go the extra mile in helping landlords find tenants, and tenants find affordable, decent places to live. Are you interested in a career with Bay Management? See our available positions on our Careers Page. Bay Management Group was absolutely terrific in helping me find an apartment in Center City Philadelphia. They really focused on me and put my needs first and made sure I was comfortable and satisfied. I can not say enough great things about Bay Management! Highly Highly Highly recommended if you are looking to find an apartment in the Philadelphia area. From the second the Bay Management Group picked up my phone call, I was immediately impressed. They were fantastic in dealing with my needs for a rental with care and an urgency to get things done. There was no wasting of my time as they worked diligently to find me the rental I needed. Additionally, the customer service here could not have been better. Highly recommend the Bay Management group of Philadelphia to anyone in need of a rental. Bay Management Group did such a great job with helping me manage my center city apartment. I needed to find someone to rent out my apartment fast and they found someone in an instant. They are so reliable and do everything quick on time. They even gave me a follow up call a couple weeks later just to thank me for using their service! I couldn't be more satisfied with the whole experience. Bay Management had a great friendly staff, they were always polite and helpful. 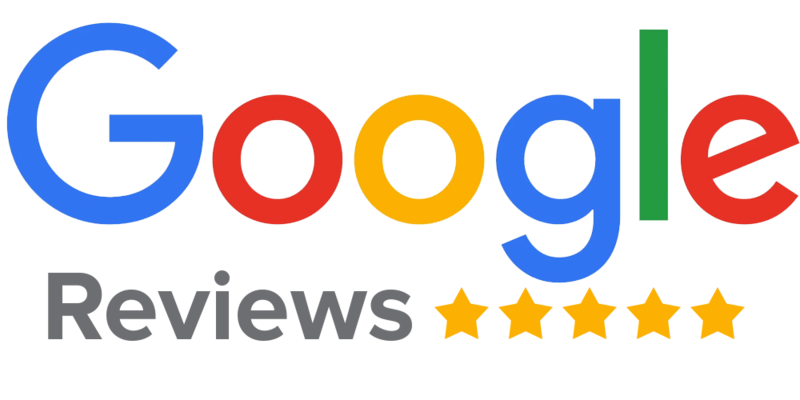 They helped me find a great and affordable rental very fast. I had been searching for a place in center city for a few weeks with no luck. Then I went to Bay Management and their professionals helped me find an awesome apartment very quickly.